A cultural shift from a focus on heart health to the gut has begun. Much of consumers’ current thinking about health revolves around digestion and health of the microbiome as the root of wellness and choosing foods that help their bodies absorb nutrients most efficiently. Consumers are turning internally to their own bodily cues, starting with their digestion, to judge the healthfulness of foods and beverages. Many people are not even aware that they’re concerned about digestion, but the signs are clear: They talk about how certain foods “sit” with them and how they feel an hour or more after they’ve eaten — and they increasingly are interested in digestive aids. Our Health + Wellness 2017 report finds that consumers are adding nutrient-dense foods and beverages promoting satiety and good digestion to their diet, and more than one-third (38%) of consumers say they are consciously adding probiotics to their diet. Kombucha, once an exotic, fringe, probiotic beverage home-brewed and imbibed by only the most heavily involved Core health and wellness consumers, has become a drink consumed for both digestive wellness and pleasure across all types of consumers. 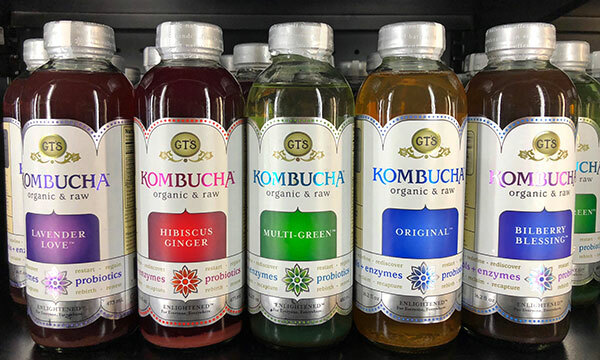 Today, kombucha can be readily found in either bottled form in diverse retailers (GT’s Living Foods is a $700 million kombucha-focused beverage brand) or in self-serve, on-tap kombucha bars, such as those found in specialty retailer Metropolitan Market in Seattle. Similarly, “gluten-free” (an overall market now posting billions of dollars in revenues) has seen widespread appeal because of connections consumers make between eating gluten-free to remedy general digestive discomfort and eating gluten-free as a tool linked to weight management. Current diet experiments, like eating gluten-free, reflect interests in moving away from carbohydrate-laden, processed foods and toward focus on supporting digestion. Overall, consumers are incorporating more dietary methods that support their digestion and energy to the point that eating and evaluating foods for positive digestion has become an entirely mainstream phenomenon. Consumers across all health and wellness segments have come to appreciate the perceived wide-ranging benefits of consistent digestive maintenance and associate such a focus with producing better energy, stronger immunity and consistent weight management. As consumers gain more health and wellness knowledge, they move from broad ideas about digestion and feeling well to a more nuanced understanding of how the body’s systems are interconnected and affected by what we eat. Food remains a vital part of our toolkit for feeling well, and even mainstream consumers seek ingredients (like fiber, whole grains and probiotics) that support healthy digestion. From trying new eating approaches to selective experimentation with digestion-friendly foods, consumers deploy a range of tactics to improve their gut health. In pursuit of wellness and experiences of discovery, consumers explore a diversifying landscape of foods and beverages that promote energy, satiety and good digestion. As consumers reexamine their diets, foods that promote gut health are coming to the fore, including healthy fats, collagen, resistant starch, fermented items and foods free of grain, dairy and markers of industrial production.